Last month, we presented the first of a multi-part entry as to how attorneys determine the monetary value of a case. That entry explained that before we can put a value on a particular injury or set of injuries, we have to be aware of the extent of a defendant’s liability for the accident at issue. Once we have a clear view on the extent of a Defendant’s liability in a case, we are able to analyze issues of damages. At a trial, the jury will be asked to determine a value for several different types of damages – pain and suffering, medical expenses, and lost earnings. In addition, these categories of damages are further broken down into claims for past damages and future damages. Past damages are awarded yearly, from the time of the accident to the time of the trial, while future damages are awarded yearly from the time of the trial onward. The number of years for future damages is determined by the injured party’s life expectancy. 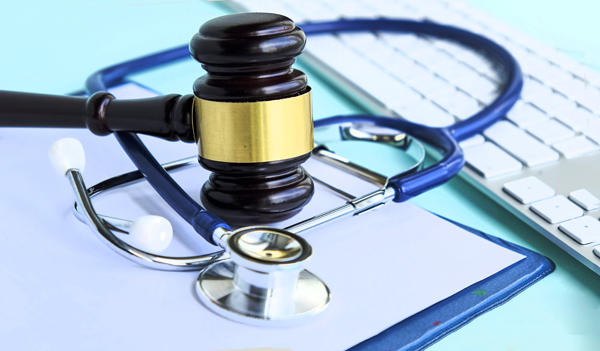 At trial, we submit evidence in the form of medical records and bills, employment records, and testimony from our client. With this information, a jury is able to determine the extent of the client’s economic loss (that is, medical bills and lost earnings). In addition, we call a doctor to testify to the diagnosis and extent of the client’s injury, its connection to the accident, and the future effects of the injury. Only a licensed physician can diagnose an injury and opine as to its connection to the accident. The most complicated part of the damages case usually concerns testimony regarding the category of pain and suffering. This concerns loss of enjoyment of life, mental anguish and anxiety, loss of the ability to socialize, and, simply, to live one’s life in the same manner as prior to the accident. Damages for pain and suffering are also awarded for both the past and for the future. Evidence in support of pain and suffering can include testimony from the client, as well as from members of the client’s family to offer a comparison of the client’s life prior to and after the accident. We hear a lot about supposed runaway juries and excessive amounts to injured parties who are awarded verdicts that seem much higher than one might reasonably expect. Less prominently reported is the fact that defendants can and almost automatically do request the Trial Judge to reduce an excessive verdict after it is awarded, and further, that that excessive verdict can also be appealed. If an Appellate Court agrees with the Defendant’s argument, it can either reduce the verdict, or even order a new trial. In some cases, that Court will order a new trial unless the plaintiff agrees to accept a lesser verdict. More than adequate safeguards already exist to protect a defendant from an inappropriately high verdict. Of course, most cases do not go to trial, and of those that do, a significant portion are settled before the jury ever renders a verdict. We use the evidence indicated above in settlement negotiations. Sometimes the amount of a defendant’s insurance policy will affect the manner in which a case is negotiated, and the amount for which that case is settled. Insurance limits can impose a practical, if not legal, barrier to the amount of a settlement. Like any other aspect of our practice, the evaluation of a damages claim can be a complex undertaking. The White Plains accident attorneys at Worby Vecchio Edelman are knowledgeable and experienced in this area of the law. Litigation involving a claim for substantial injuries requires retaining experts who are able to offer the testimony that is required to prove the claim. Our firm has the resources to invest in order to present that testimony at trial. Call us first if you or a loved one have been injured. We’ll respond quickly, obtain the necessary facts, and process the case in an efficient matter. We attempt to settle all of our cases, but we have the resources and the experience to take a case to trial. We work on contingency, so we don’t charge a fee unless we obtain money for your case.